Experience a one hour long ride through a wintry wonderland of snow. Experience a one hour long ride through a wintry wonderland of snow. Our sleigh which seats four passengers is a re-creation of an 18th century Vis-A-Vis style sleigh complete with antique lamps, maroon cloth seats and a warm sleigh robe. This ride heads out to Moose Meadow. Opportunity to see North American wildlife and LIVE Reindeer. 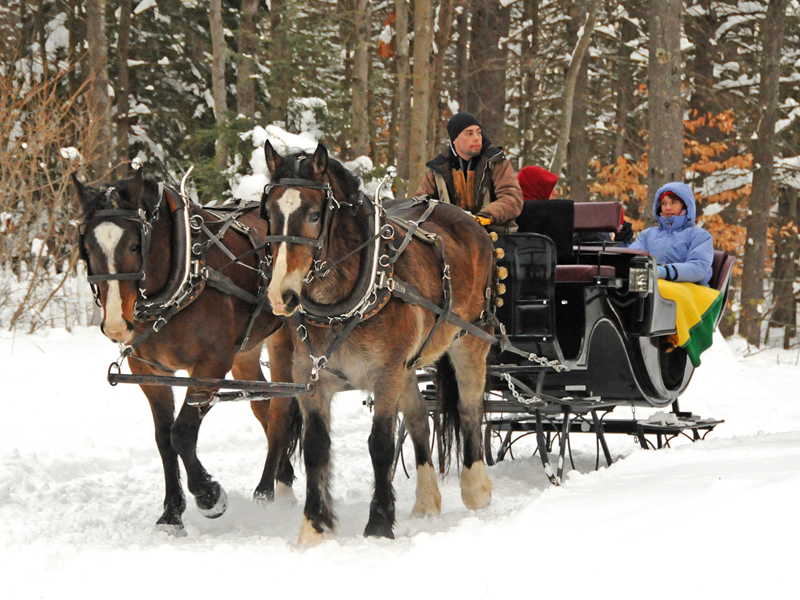 Valid for one Vis-A- Vis Sleigh Ride – General that will carry up to 4 passengers. One voucher per sleigh- No Limit on number purchased.